Located on the scenic route between Cashel and Kilkenny in County Tipperary, this stunning listed period home is set on 1.5 acres of private mature wooded grounds. 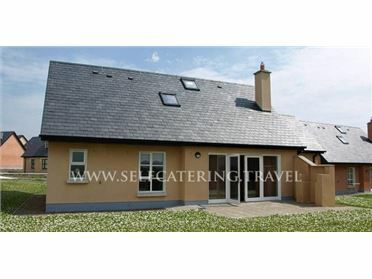 Refurbished to the highest standards, This luxury self-catering rental is ideally located for exploring the South of Ireland. Built in 1886 by request of the Archbishop of Cashel, Old Parochial House features a magnificent carved staircase and stained glass windows, complete with chandeliers and antique furniture. Featured in The Sunday Times 100 Cool Cottages list (UK and Ireland) - the largest Irish property to meet the Sunday Times gold standard! Comfortably accommodating up to twelve guests, one can; relax and enjoy a book in the reading room; take some time out to listen to the flow of the river at the bottom of the garden; hike the famous Slievenamon enjoying spectacular views. Guests are asked to arrive at or after 3pm on the Saturday and to leave by 10am on the day of departure. It is essential that these times are adhered so that the house is immaculate enough for all our guests..